One of the creations at the March workshop. Flower buffet from where you choose the materials to work with. Hanna and I began with the Flower Classes in February and we have had a lot of fun planning and hosting them. 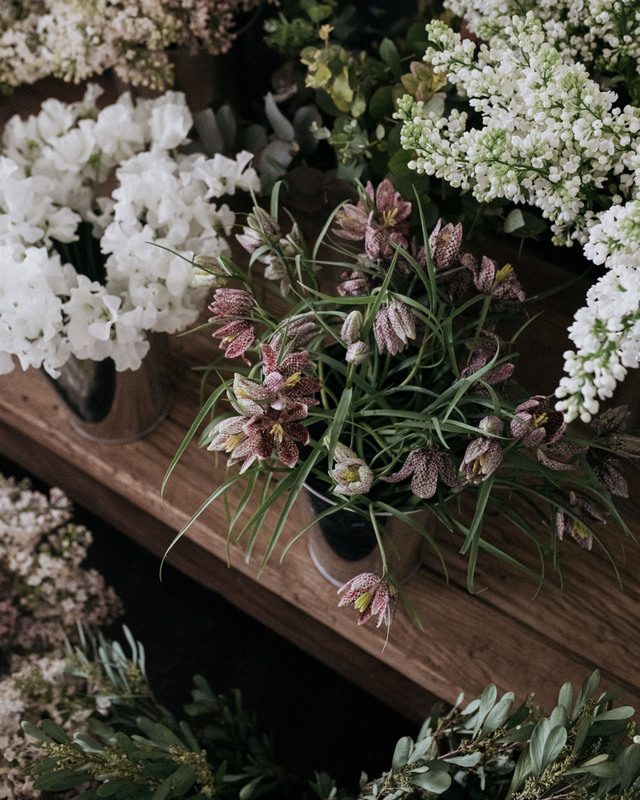 I have seen a crazy amount of beautiful flowers, first cleaned and prepared for the flower buffet – and later finding their way to one lovely arrangement after another. I have also become so much more brave in choosing and arranging flowers in my home. On one hand, I am willing to play more, and try new things, such as making an impromptu garland for the dinner table. And on the other hand, I notice the willingness to have no blooms around. Keep it simple with green leaves, grasses and branches, and random herbs that we buy and use for cooking anyway. In other words, blooming flowers have started to feel even more special and precious. And special they are in nature, too, as the blooming season with every species is so short in the year’s cycle. 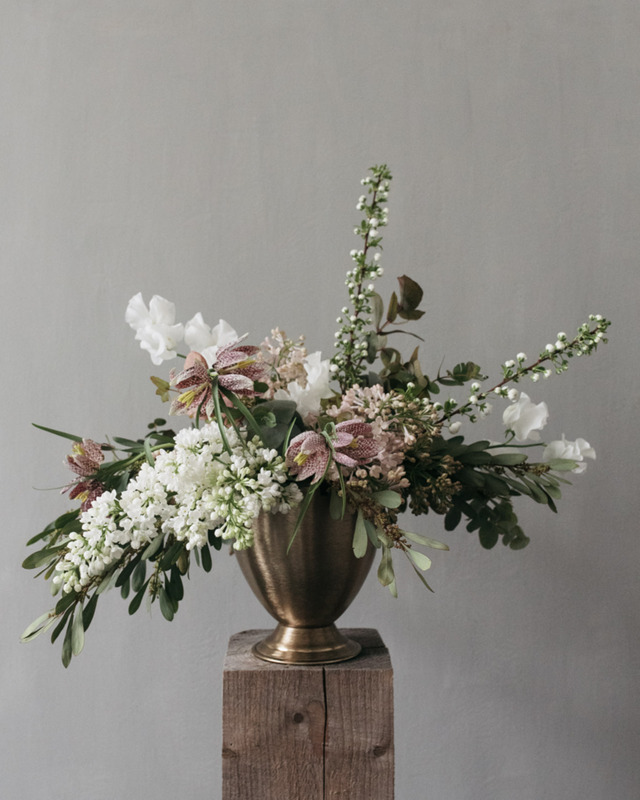 If you are interested in learning the basics of naturalistic flower arranging, we have one more class focused on that theme coming up this month. For more information or to reserve your spot, find details here.